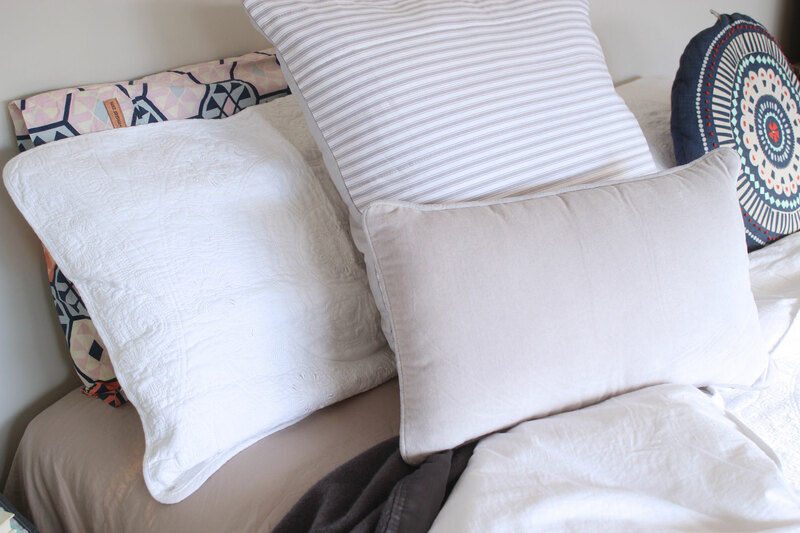 My bedroom linens have been on my make-over-radar for a while now. I’m still in love with this pretty pastel mash-up featuring one of my fave Kip & Co duvet covers but unfortunately it’s suffered some major sun fade. And that BUGS me no end. 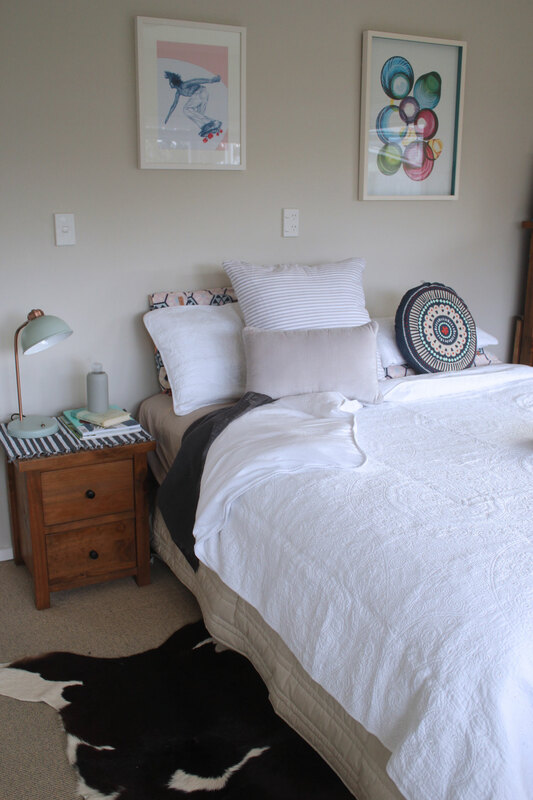 We get almost all-day sun in our bedroom so a fresh white duvet is really the only option to avoid ruining any more expensive linen. Heading into stores to leisurely shop for anything is just not possible at the moment with my 2 year old terror, so I was relieved/excited/super-duper stoked to check out the latest catalogue from Ezibuy Home – in the comfort of my own home! I’m a very decisive shopper. I know what I like and I’m great at making no-regrets, snap decisions. But, I struggled trying to decide on what items to choose from this new range. I wanted to incorporate a variety of textures and keep the look clean and white, preferring this time to accent with colour rather than feature it. 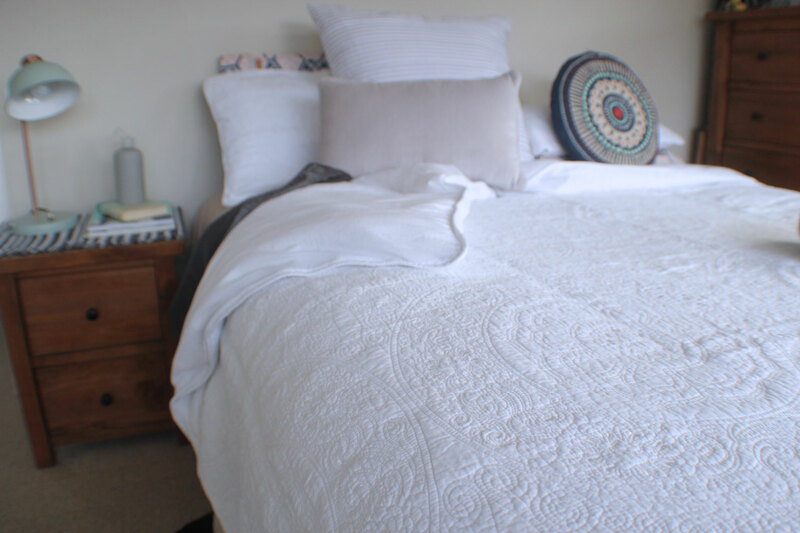 I chose the Nantucket Quilted Duvet Cover Set RRP $119.99-$169.99 which is heavy, lush and has the most beautiful detailing – exactly what I was looking for as a focal point for the master bedroom. White, but definitely not boring! To complement the pretty detailing in the duvet cover I wanted to add even more texture. 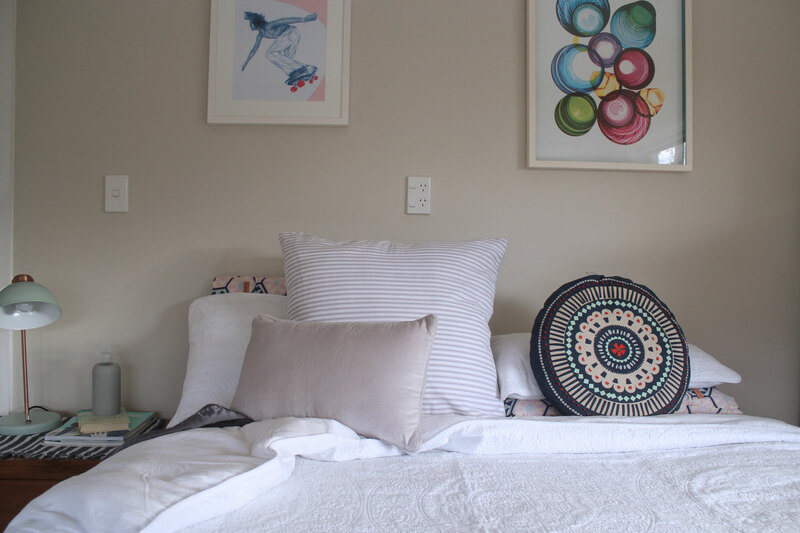 The Epsom European Pillowcover RRP $27.99 has quilted herringbone chambray on one side and ticking stripe on reverse. 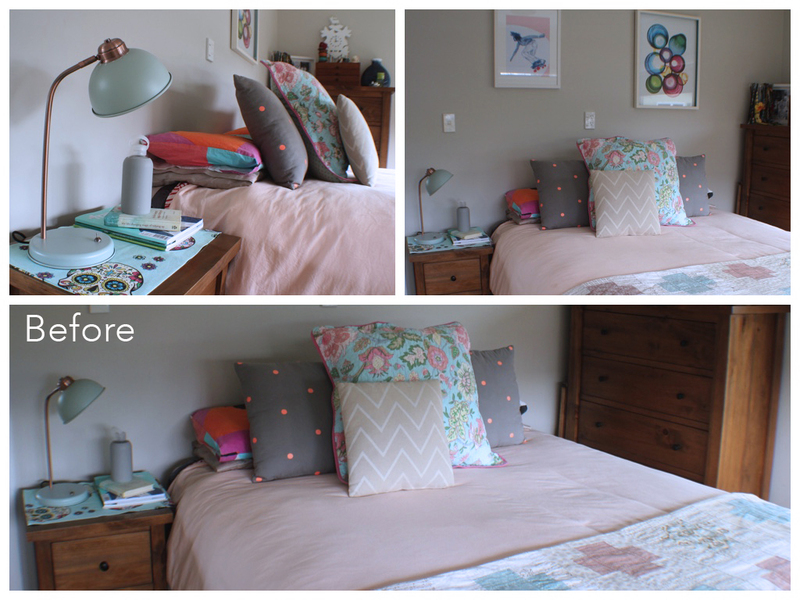 I finished the look with a Velvet Throw pillow in grey RRP $49.99, ramping up the soft, tactile feel I was going for. There’s still a couple of pieces I need to finish this look; a linen valance and linen sheet set are definitely top of my wish list. I have never, ever shopped at Ezibuy before and the quality, price and on-trend range of this homewares line sees them firmly overtake some other large retailers in the very competitive home decor market. I love it all! Store credit was provided for editorial consideration. All opinions expressed are my own.